Welcome to Recent Happenings! This is a moment where we talk about some of the recent work we’ve been doing around the office and for our clients. While It may not be apparent with all the fun and zany photos we post on our Instagram account, but our team keeps pretty busily around here with work, ongoing education, and new certifications. Here are a few things that we’ve been working on in the past few months. Recently, Gravitate partnered with the great team at Kahuna for a website redesign project. Kahuna has offices in New York, Victoria B.C., and the San Francisco area and provides a cross-channel marketing automation and custom-built engagement platforms. Kahuna is responsible, nearly single-handedly, for establishing and leading the charge to the clear alternative to old-school content repository methods and needed a website that reflects its innovation and expertise. Looking push the “engagement marketing” envelope, Kahuna approached us not only increase sales and lead generation, but provide clear, compelling value for potential customers wading through intimidating and confusing waters. The result is a lively, interactive experience that communicates Kahuna’s unique merits both as a company and a marketing automation platform. 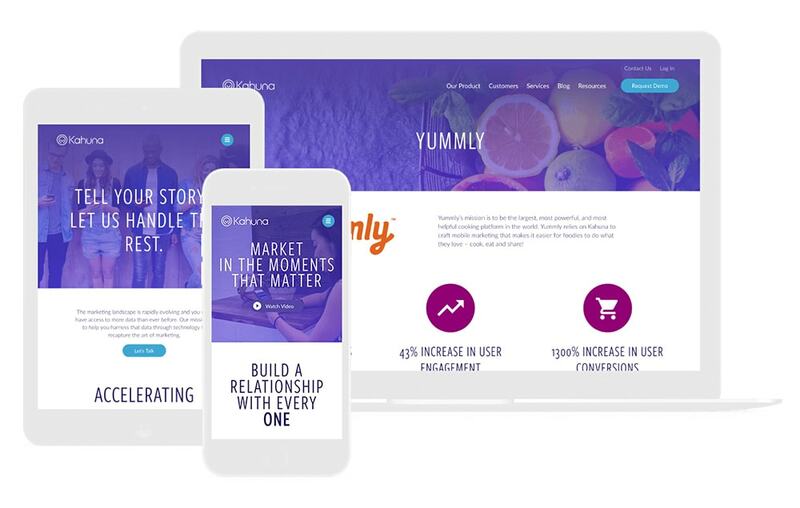 With an incredibly flexible backend and fully integrated with Marketo—it’s easy to see why the savvy marketing team at Kahuna was thrilled to get their hands on the completed website and start tinkering around. Gaba is the leading provider of one-to-one language lessons in Japan and provides instruction primarily to Japanese business people. Considering all the teaching is extremely personal and the instructors have a lot of autonomy and flexibility—it was vital to clearly highlight these differentiators on the website redesign to help drive qualified candidates to convert. 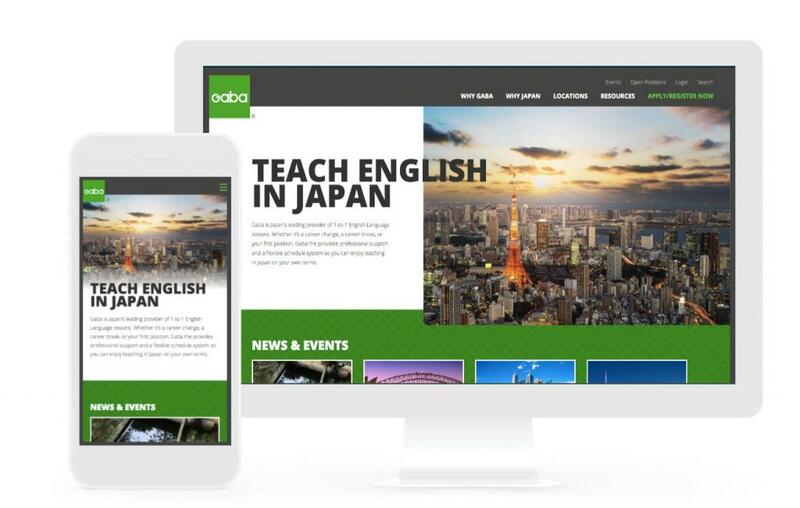 Competing with language and translation companies throughout Japan and throughout Asia, there was opportunities throughout the website redesign to drive potential clients and applicants, as well as cater the design to the newly established western markets (US, UK, and Australia). The result is a modern website that provides a centralized hub for Gaba’s immense breadth of learning material as well as a flexible foundation to manage, and even dramatically shift both the offerings and the format of the high-level pages of the website. Cavities, also known as dental caries (hence, CariFree) are caused by a bacterial imbalance in your mouth. While brushing and flossing can reduce bacteria, it won’t fully prevent cavities. CariFree attacks the problem at the source by providing cavity-prone folks with elevated pH products that neutralize decay-causing acids. Naturally, the elephant in the room for CariFree is user education. Not only do we need to a website that educates potential customers, but also provides a seamless shopping and checkout experience. 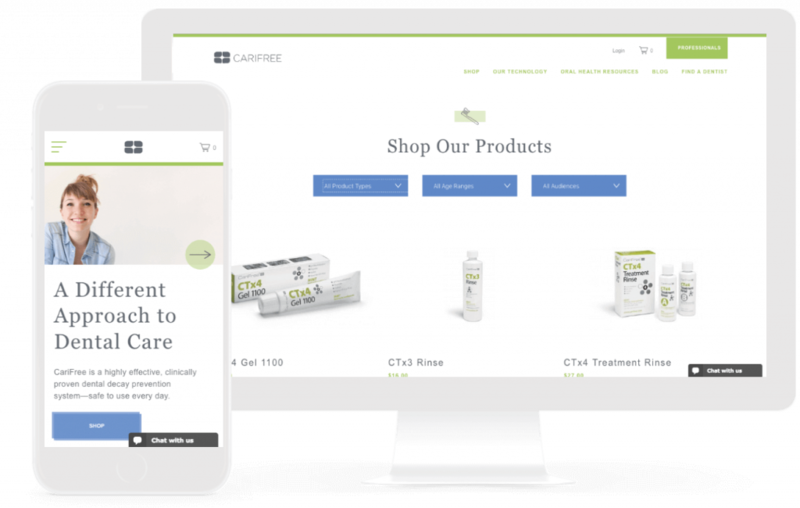 The new website educates frustrated, cavity-prone potential customers and gives them hope for a solution—while also providing a secure, hassle-free buying experience. Gravitate has been using Amazon Web Services (AWS) for about three years now after developing a solution that worked for WordPress. Then, we took it even further by creating an amazing AWS hosting setup that does wonders by using custom chef recipes, PHP7, load balanced EC2 instances, Memcached, HAProxy, RDS, and CloudFront CDN. The Gravitate Core Services team sets up and manages AWS hosting so we felt it was best to get certified. After watching hours upon hours of official training videos, taking online quizzes and practice tests, and studying hard, the team was ready. The AWS Certification test itself was quite stressful. Nicholas Coker, Corey Weddington, and Alex Costa took the 55 question, 80-minute time limit test and all three passed and became certified. They celebrated by getting bulgogi burritos from Korean Twist, an awesome food cart in Portland, Oregon. 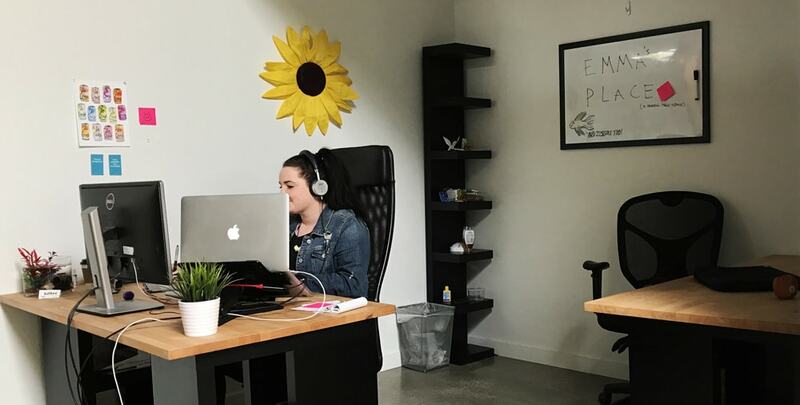 Emma took over a new space in the office and it looks pretty awesome.